Twenty three contestants competed in our monthly K-12 Scholastic Championships. 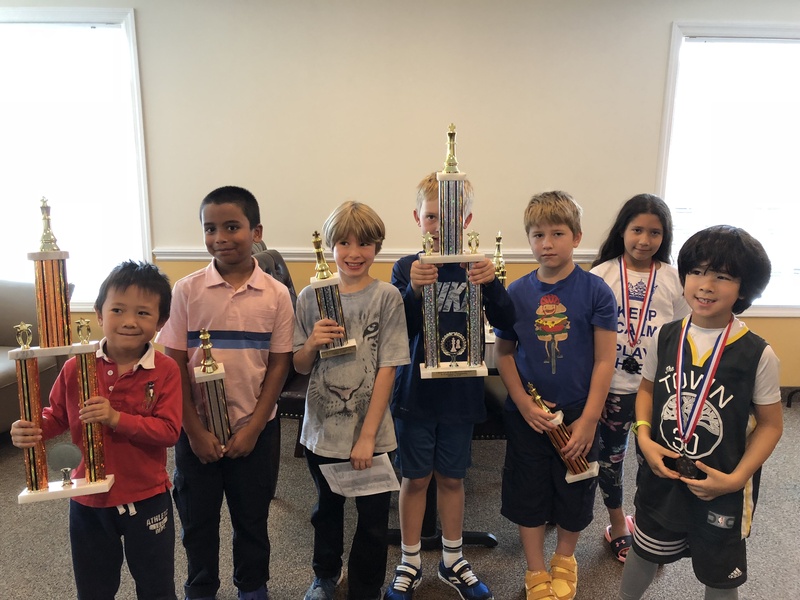 The deserving winners of our K-2 section were William Chen, James Gerardi and Maksim Khusainov who finished in first, second and third places respectively. 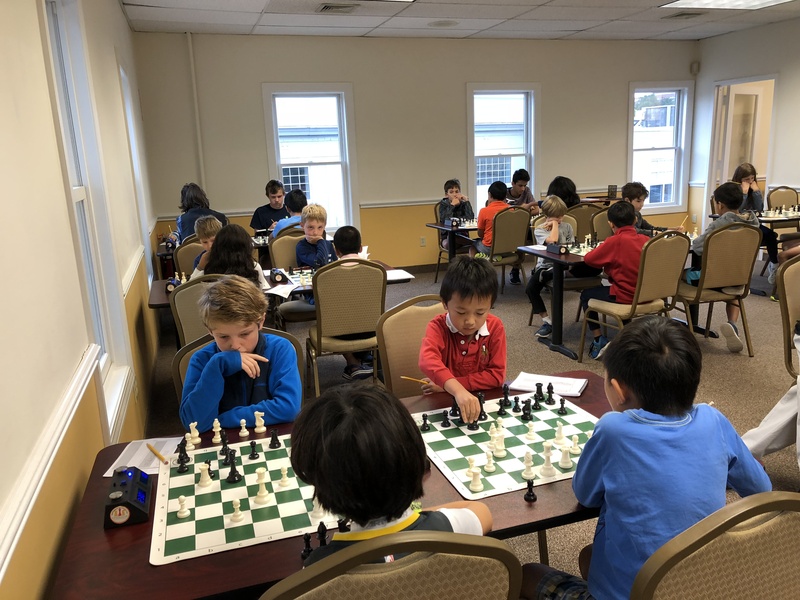 Our K-5 section was composed of thirteen determined players. Henry Buczkiewicz earned first place with a perfect score of four points. 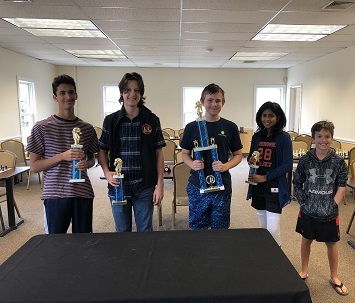 Iri Pullepu, Jack Aronian and Oliver Samardzija placed second, third and fourth, all earning a total of three points. The K-12 section contained 10 players. In first place was Nathaniel Moor, with a total of three points. Rohan Awasthi, Alexander Mayo, Anika Bhat and Sahil Vora placed second, third, fourth and fifth respectively. Congratulations to all of our winners and thank you to all our contestants. We hope to see you again soon!